To check your worksheet’s layout before printing, choose Print Preview from the File menu. 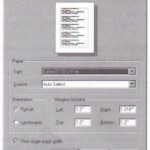 The Print Preview window displays the current section of your worksheet, in miniature, as it will appear when printed. See Figure 4-2. 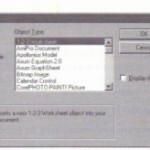 To print a Mathcad worksheet, choose Print from the File menu. 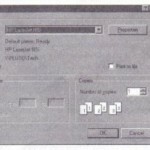 The dialog box you see will depend on the particular printer you’ve selected. 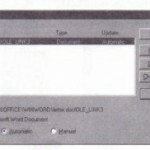 A typical dialog box is shown below The Print dialog box lets you control whether to print the entire worksheet, selected pages, or selected regions; what printer to print on; and the number of copies to print. This section describes these various printing options in detail. • Next Page: Click this button to preview the next page of the worksheet. If this button is gray, there are no further pages in the worksheet. • Prev Page: Click this button to preview the previous page of the worksheet. If this button is gray, there are no preceding pages in the worksheet. 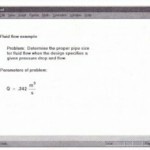 • Zoom In: Click this button to magnify a portion of the worksheet. • Zoom Out: Click this button to cancel any magnification so that you see your document in the normal size used in the Print Preview screen.